This was a lovely book. It wasn’t really the story itself that was moving, although the story was very nice, but the way the story was told. It had such beautiful writing, and a great descriptive pattern that made it come alive. The general story is about the evening on a working farm when the patriarch of the family tells stories about his past life. I really liked this book. I think it was clever, engaging, and I liked that it was an unfamiliar take on a familiar story. Full disclosure: I am a rabid Wizard of Oz fan. I have read all of the original 12 and some of the ones after, and I own most of them. I even have a tattoo that includes Oz references. So it was natural for me to check out this new form of a story I love so much. But when you really know a story, it can be hard to hear a distorted version of it. This book does not have that problem. There are enough neat references that a fan of Oz would understand and appreciate, but the story stands on its own and isn’t even really about the events of the movie or original books. This story mostly takes place before those events, and shows us “the real story” behind the Wicked Witches, the Wizard, and other characters we know from the original stories. This keeps it from feeling like a “wrong” version of the story, though it does take great liberties with the world you’re used to from the movie. There are adult themes, and the feel of the book is nothing like “The Wizard of Oz”. I wouldn’t recommend this book to children younger than high school, probably. Its an easy enough read for adults, but includes political and adult themes that make it not a super-fast book. I like this general fiction category. It keeps coming up with gems. This is a rather short story about a family who loses their mother. The mother returns as a ghost to help her family with their various problems. Despite its supernatural element, this is a down to earth tale of familial relations and everyday situations. Inspector Morse is an interesting hero who works in London and speaks in a british accent. You can hear it dripping off the page. This story takes place in the hospital as the good inspector goes through old cases and ruminates on the mystery of a young woman who dies during a midnight canal ride. There is no danger, no real problems, just the inspector bantering with his right hand man and the local librarian to solve the case. It’s more interesting than it sounds, I swear. This is a great book by Ann Rule. She goes through all the most dangerous murderers she has had the misfortune of learning about. She’s a great writer and gives the stories such a life that it’s more fascinating than anything. You know, I read a lot of true crime, and I like Ann Rule’s style the best. Maybe I should just come up with a generic review of her books and cut and paste it for all the ones I read. She’s got 26 or so of them, so you may be reading this a lot. White Apples is a philosophical masterpiece disguised as a dramatic thriller. The story involves a woman who crosses over bring back the dead father of her unborn child. The father returns to the world remembering parts of the afterlife and able to perform mystic feats he doesn’t understand. The unborn child communicates with his mother and passes on his destiny to save the earth from Chaos, which, in this incarnation, has become sentient. The storyline takes a back seat, however, as the reanimated father attempts to remember critical information from the afterlife and meets with a guide of sorts that explains the nature of life. I found this book fascinating and it provided me with hours of discussion material and food for thought. I had high hopes for this book. 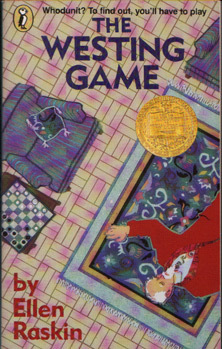 It was written by the same author who wrote “Ella Enchanted” and “The Princess Diaries” which were both award winners. However, this book fell a bit flat. It’s about an unpopular 8th grader who receives a wish from an old lady on the subway and ends up the most popular girl in school. It was meant to be a coming of age story, but I kinda hated it. Here’s the thing–I don’t really understand teenagers who long to be popular. I never really cared. Granted, I didn’t really like being laughed at in school, but then everyone was laughed at and I figured out very early on that if I was able to laugh at myself then I took their power away and I could do whatever I wanted. Just look at how I dress! It was much worse in Jr. High and High School, I assure you. Anyhow, I don’t understand the need to be popular. Nor do I understand how kids, especially those that have been on the receiving end before, can be randomly cruel to others. Can you guess what happens in this story? Yep, the previously-unpopular-now-popular girl is really, really mean to currently unpopular students. Granted, she learns her lesson and eventually learns the meaning of friendship and that those who are popular really aren’t all that great blah blah blah, but it was so damn painful to read most of the book that I hated it. At least she learned her lesson.